On 27 and 28 of June, ICCT and IOD PARC organised a knowledge session and an expert meeting in order to build innovative and fruitful relationships with each other, as well as other experts, blending the expertise in Countering Violent Extremism (CVE) & Counter-Terrorism (CT) and Monitoring and Evaluation (M&E). 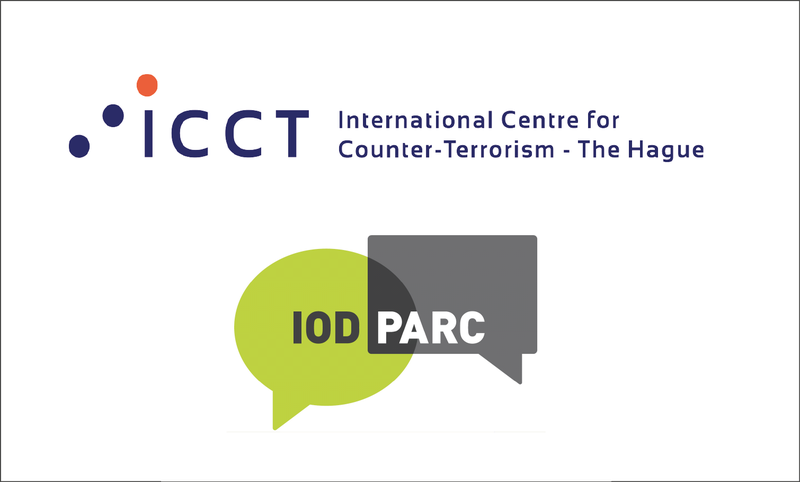 On 27 June a ‘Knowledge Session’ was organised, attended by both ICCT and IOD PARC teams in order to deepen the partnership between the two organisations. ICCT Research Fellow and Director of the Institute for Security and Global Affairs (ISGA) Prof. Dr. Edwin Bakker gave a short presentation on the history of Counter-Terrorism and Countering Violent Extremism and how it has changed since 9/11. It evolved from a typical security-focused approach to one in which preventive actions have become increasingly relevant. This was followed by a discussion on effectiveness measurement in the CT & CVE policy field. This included the response to developments such as the ‘Foreign Fighters’ phenomenon. The main difference with terrorism in the 70s and 80s is the exponential increase of the number and types of actors involved, as well as a diversification of the specific goals and the types of actions that fall under the CT & CVE umbrella. Edwin Bakker’s contribution was followed by an interesting presentation by Simon Henderson (IOD PARC) on trends and developments in M&E, and the changes they experienced in evaluating development aid related interventions in the last decades. Simon emphasized the changing needs of policy-makers when commissioning an M&E assignment. An extensive discussion was held about theoretical and methodological approaches to M&E activities, including quantitative and qualitative methods. The day was concluded with more shared understanding about how M&E activities can contribute to the development and implementation of evidence-based policy within the CT & CVE field. The following day, ICCT and IOD PARC convened an Expert Meeting on “Monitoring and Evaluation of Countering Violent Extremism (CVE) measures: Opportunities, Challenges, and Approaches.” Participants of the session included M&E practitioners, policy officials, and researchers from universities and government departments. The discussions were kick-started by two presentations on monitoring and evaluating CVE measures. In the first presentation, Dr. Scott Douglas from Utrecht University presented his experience as a project coordinator of the Evaluation of the Dutch Counterterrorism Strategy 2011-2015. Dr. Douglas provided insights into the challenges of designing an evaluation in the field of CVE and CT, such as limiting the scope and being flexible with regard to theories used to explain causalities. The meeting also addressed the issue of contrasting needs and expectations of the commissioning party, policy makers (as intended beneficiaries of the evaluation) and the evaluators. With most of them represented in the meeting, this discussion gave new insights in how to ensure an evaluation is impactful, i.e. contributes to learning and policy improvements. In the afternoon, Ben Baruch from RAND Europe, presented the IMPACT Europe project. This project aims to create an online state-of-the-art knowledge database on existing counter violent radicalisation interventions and approaches to evaluating these interventions. Ben Baruch presented the prototype of a toolkit with tools and instruments how to design and implement an evaluation of the counter violent radicalisation programmes and how to integrate what works in future programmes. The session was an opportunity to identify challenges, good practices and useful methods and approaches in monitoring and evaluating CVE policies. The toolkit was appreciated as a source for evaluation practitioners to consider alternative tools and approaches. ICCT Senior Portfolio Manager Marco de Swart ended the day by highlighting the opportunities that emerged from the expert meeting. It lays the foundation for a peer network of evaluation practitioners, a sound and innovative M&E approach for CVE measures. 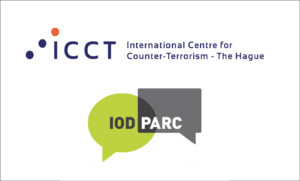 ICCT and IOD-PARC expressed the hope for the Expert Meeting to be the first encounter of a fruitful series of exchanges between CT and CVE experts and M&E experts, building a joint perspective on assessing the impact of interventions to counter terrorism and violent extremism.